Obstacles and Hurdles are common challenges every practitioner has to encounter being involved in Brazilian Jiu-jitsu. While some of these problems appear difficult to overcome it is how an individual stands in the face of adversity that reveals their strength and character through it all. Since the dark day of June 29 2011 Frank Edge has been in a long constant battle against his diagnosed condition with Cancer. More bad has come out good during these trying times but through it all Edge has remained strong which has received a lot of attention and support in the fight community which Frank was open to touch on in this in-depth interview with us at BJJ Legends. BJJ Legends: For those that are not aware of your condition could you describe the type of cancer you are diagnosed with? Frank Edge: I was diagnosed with Testicular Cancer. I was told I had stage IIIC and it was a rare mixed germ cell. BJJ Legends: To your remembrance is there any explanation as to how you came down with this disease? Frank Edge: No there was no explanation however Doctor’s asked two questions and that was did cancer run in my family and did I have an undescended testicle as a child. There was no cancer in my family to my knowledge however many in the family seem to remember me having an undescended testicle however it was never documented. BJJ Legends: Looking back on your life before this trial and where you are now how has cancer changed your way of living from a physical standpoint? Frank Edge: Physically it is easier to explain…..I am tired all the time, nauseous all the time, and have a general weakness throughout my body. These are constant daily issues. Many days you can even throw pain in to the mix and sometimes pain that cannot be controlled with the medication. Before all of this I was a full time blue collar worker in a machine shop and now I cannot work even a day. BJJ Legends: What about from a mental standpoint? Frank Edge: Mentally is a bit harder to explain…..I never had to think about cancer 24 hours a day. I have to worry about that all the time. I have to worry about it when I got to bed and wake. I cannot get away from it I have to always think about it. It is often hard to bury my head into other things when people are around me because they may think I am ignoring them however I am just trying to escape the cancer torment in my head. What do you think you would sit there and think about if you knew you were going to die? This is what I face daily. Everything I do has to be thought out and planned because I never know how I am going to feel or how certain things may affect me. For example while going through chemotherapy I have to avoid large crowds do to possible germs which means I cannot participate in certain events even if I felt like it. BJJ Legends: How has it affected your family and friends? Frank Edge: Some family has been overly bothered by it while others are in such denial that they say “you are going to be ok and that it is going to be fine” and these people will not accept it until I am gone and by then it will be too late. 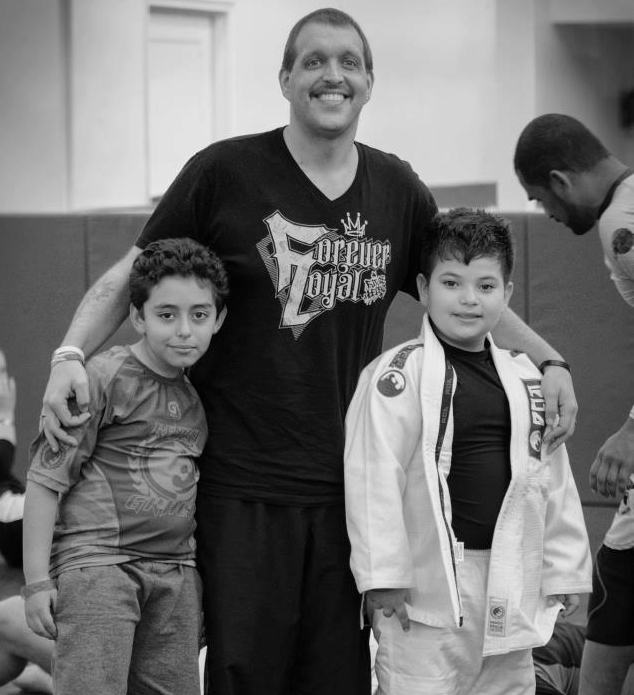 BJJ Legends: Have you received any other support outside of family and friends? Frank Edge: The support I have gotten from the MMA community alone was support I first thought I never would get and second when it started not only did it hit hard it hit fast. This includes fighters and fans. Fighters from all organizations across the world jumped in to support. The support from InvictaFC starting with Shannon Knapp and Janet Martin and their family and all the fighters in the organization has been absolutely tremendous in their support of me and sharing my story. Not only have they helped us from the heart they also allowed my wife and I to walk the red carpet in Vegas. My wife and I had never even been on a honeymoon this was amazing. The MMA community over at MMA.tv (The underground) has been the biggest supporter of #FranksFight. They put #FranksFight on the map and because of them and some forum threads the hashtag #FranksFight was created. Many members of this forum have stepped up to raise money themselves just for me. BJJ Legends: Being involved in martial arts I’m sure you have had your share of challenges. Considering the serious circumstances how do you go about tackling this challenge put in front of you? Frank Edge: As far as the fighting goes I was never a fighter. My background in the martial arts was 16 years of Tae kwon do achieving my 4th degree black belt. I was always a huge kickboxing fan and K1 led me to pancrase and then to the UFC where I have been a fan since Royce Gracie was choking people LOL. As far as being a fan I have been one to follow all organizations and fighters and all combat sports adding in football. When my want to train pretty much faded away it was all football until I really became a fan of K1. With Peter Aerts and Bruce Lee being my favorites of all time. I can see from having trained in an art and being as devoted a fan as I am I can tell the hard work that goes into each and everything these guys do. I feel the way I have to fight to stay alive and to deal with my chemotherapy treatments would be just like a guy training and trying to recover from training or a weight cut. I try to keep my head up push forward and know I will feel better again. There is no body better at weathering a storm. BJJ Legends: Do you see yourself overcoming this tough obstacle? Frank Edge : Yes and no. No because my disease is going to kill me and I know it is going to I understand it and I deal with it and YES because it will never break my mind, my spirit, and never stop me from laughing. BJJ Legends: Finally when people look at your story what is the one thing you want them to learn from it ? Frank Edge: Only two things……one you can fight and two even if you know there is an end you do not have to look at it like that. BJJ Legends: Is there anything else you would like the people to know about Frank Edge? Frank Edge: I had a great opportunity to help raise two of the best boys ever and I am glad I got the chance.